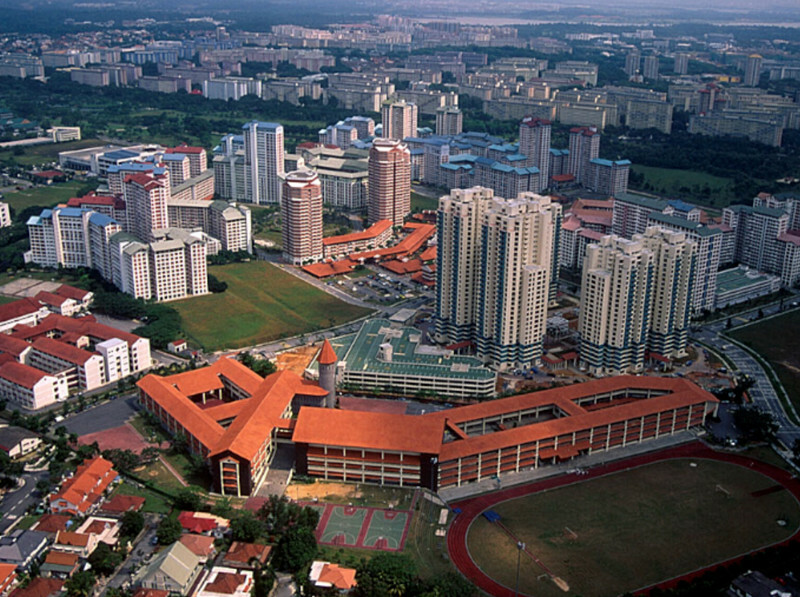 Bishan is a residential district situated at the centre of Singapore which spreads across 743 ha area. It’s basically a HBD estate built in the mid 1980-90 having excellent transit connectivity via MRT and bus. Besides this it has also got all the basic amenities like schools, town centre, sports facilities and parks. Bishan was the largest Chinese Cemetery of Singapore since 1870 and was known as ‘Kwong Wai Siew Peck San Theng’. It was originally a burial ground divided in ten sections for the Chinese community who used to visit this place to pay homage to the graves of their ancestors annually during the festival Qing Ming. The cemetery stopped taking new burial by 1973 and the government acquired the land in 1979 for building New Bishan Town. More than a cemetery it served as the Cantonese village, who were the funeral traders and lived there only. The village had all amenities to live a peaceful life. It was also a centre for illicit activities as it was located remotely. But the entire village was resettled in 1980 to make the new ‘Bishan Town’. Bishan was indeed the first among all the estates to have HDB flats with open terraces on roofs. HDB’s initial 30 storey blocks are in Bishan. It turned out to be a prime residential area inspite of its history. It has an excellent transit system and has got lot of amenities which one looks for when buying a residential/commercial property like reputed schools, sport facilities, public parks, public library and shopping centres like Junction 8. Besides this, it has also got Singapore’s largest urban parks, Bishan- Ang Mo Kio Park spread over an area of 62 ha for various recreational activities. So, overall it’s a perfect place to live in. Bishan has approximately 65,700 HDB residential populations. Having a property in Bishan had always been fruitful not only for the investors but also to the buyers. Over history Bishan had always fetched unexpected returns. In January 2013, a maisonette in Bishan fetched S$ 1.01 million breaking all previous records. Not only this, but during that time it also had the highest psf (per square feet) of S$619. Recently, Bishan witnessed a record breaking deal for HBD in Singapore worth millions. It is a 5 room HDB flat located at Natura Loft, Bishan. So far, in the history of Singapore this deal is being considered the record breaking transaction held ever in public housing development. Impressed by the stunning interior design of the flat, being situated in a location like Bishan which is surrounded by all the basic & recreational amenities and the spacious flat made the buyer hook on the deal with a price of over $1.18 million in January this year.The flat is one among the 12 penthouses built amongst the 480 units. It has got 120 sq m total area unlike the regular 110 sq m area for a 5 rooms flat. So, this gives an extra edge to the buyer. Besides this, other resale flats in the area have also fetched a good price to the sellers. So, overall it can be said that Bishan is no less than a gold mine which would never let down it’s buyers as well as sellers.